Tapani Keränen is a biomechanists at KIHU, the Research Institute for Olympic Sports in Jyväskylä, Finland. 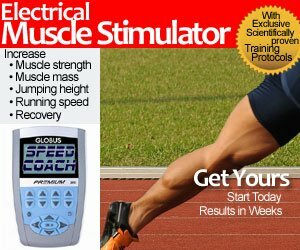 He has participated in many of the studies carried out about the hurdles and jumps. Tapani is also a coach and has the ability to help coaches to understand the biomechanics in an easy manner. To know more about him, read my Freelap Friday Five interview with him. ”OnYourMarks” is an interactive & simple training tool that helps to improve block start with real commands. 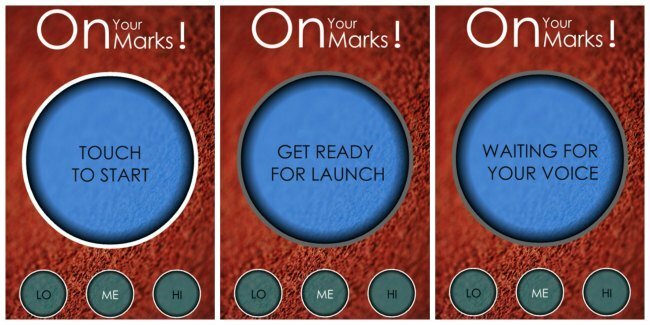 At the “On Your Marks” position, the app will wait user’s voice signal to continue starting. The timespan between “Set” and “Bang” commands is randomized and a flash of light at the time of the “Bang” helps the timekeeper to start the timing. If the links do not work, just open the AppStore or Google Play and type to the search field “onyourmarks”.